When one thinks about the most memorable tag teams in the history of wrestling, there are many names that come to mind: The Road Warriors, The Midnight Express, Doom, The Steiner Brothers, Harlem Heat, The Dudley Boys, Demolition, The British Bulldogs, The Wild Samoans, The Blackjacks, Edge & Christian and many many more. One name which is NOT on that list is our newest inductees this week. Ladies and Gentlemen, here come WWE Hall of Famers the Bushwhackers! What the hell is the WWE thinking? Its not like the WWE Hall of Fame is the first Hall of Fame in the history of the world. Hall of Fames are not uncommon. Every sport has one. Television has one. Every university and college in the history of the world has one. What does each of those Halls of Fame have in common? They induct the best in their business. Induction is generally based on understood criterion and/or voted upon by both the organizers and fans of the Hall of Fame. 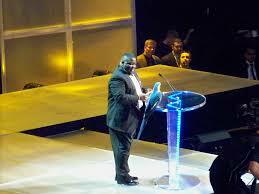 WWE on that other hand, is totally and completely up to the whims of one man…. And a bunch of goobers…. The WWE Writing Staff as Represented By the “Amazing” Staff of Mork and Mindy..
What is the logical explanation for this disjointed mess? Take a look at 2013 and 2014. Each class was headlined by a true superstar. Both Bruno and Warrior not only were the epitome of the word headliner; they were also long overdue. Randy Savage fits this criteria too. The difference this year is that Savage is surrounded by such poor compadres. Three inductees (Rikishi, Arnold and the Bushwhackers) are not only weak but their presence hurts the overall presentation. And the Bushwhackers have to be the worst of the worst this year. In fact ,The Bushwhackers are the worst of the worst of almost any year. This is Ko Ko B. Ware level of bad. Almost no one will disagree that The Bushwhackers would not be their first choice for induction. Worthy teams like Demolition, The Dudleys and The British Bulldogs stand still waiting for the call. I’d like to mention briefly that The Bushwhackers did have many years as a hated heel team The Sheepherders. The Sheepherders were much better than the Bushwhackers, During the induction video , the Sheepherders are also mentioned briefly (to showcase the 26 Tag Team titles the Sheepherders won all around the world), but do not fool yourself in believing that this is who the WWE is inducting. They are inducting the Bushwhackers. Just watch this induction video. 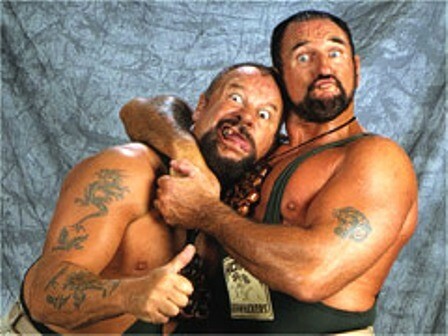 Look how silly and crazy the Bushwhackers are?! You still don’t believe that this is a ridiculous induction? Fine. 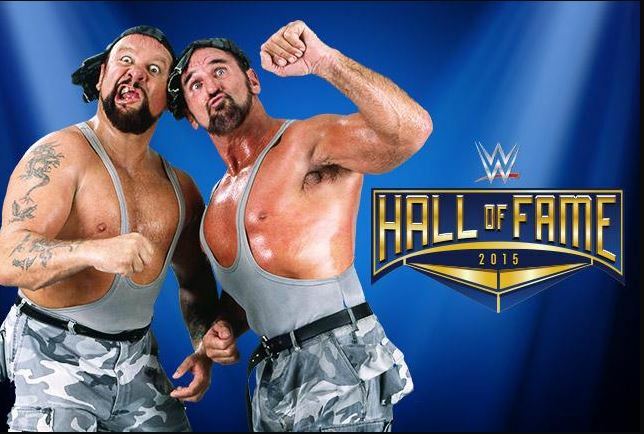 Let’s look at the top 5 accomplishments of the newest Hall of Famers: The Bushwhackers in WWE. 5. Defeating the Rougeaus at Wrestlemania 5. The Bushwhackers attained their greatest victory right at the beginning of their WWF run. In 1989 at Wrestlemania, Luke and Butch defeated Jacques and Raymond, the WWF World Tag…..wait nope. That’s not right. The Bushwhackers defeated C level heel tag team, the Rougeaus. This means that the Bushwhackers were the C level face tag team…at their peak. In 1992, a steroid scandal (which eventually progressed to the 93 steroid trial) forced Hulk Hogan to take a leave of absence from the WWE. Hogan being gone was never good for business. While grasping at straws , the WWF brought back a barely mobile Andre the Giant. The story was that the Earthquake wanted Andre to form a team with him. When the Giant said no, so Typhoon joined up with Earthquake and smashed Andre. Enter the Bushwhackers, who for no real reason, other than to give someone for the newly christened Natural Disasters to squash, stepped up to defend the injured (and less than 6 months away from literal death) Andre The Giant. Luke and Butch barely tried and failed miserably. Andre was attacked by Earthquake as his great defenders lost and proceeded to get “more injured” before the Road Warriors made the save. Andre was never seen on WWF TV again. 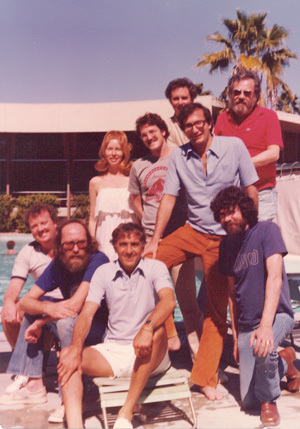 The Bushwhackers were never known to win really anything certainly not awards….or matches. By 1992, the Bushwhackers were basically used to put over heel tag teams. They suffered extremely logical losses to the Nasty Boys, Natural Disasters and others. It should be noted that three other Tag Teams also received Worst Tag Team award twice, Kronik, The Godwinns and Giant Baba & Andre The Giant. I still think that the Bushwhackers win the worst of this bunch as two of them are former tag champs and Baba and Andre were basically a team of crippled slow-moving older giants. In a match that can only be considered a poor attempt at comedy, Luke and Butch joined Men on a Mission to destroy the careers of Bam Bam Bigelow, Bastian Booger and the Headshrinkers. 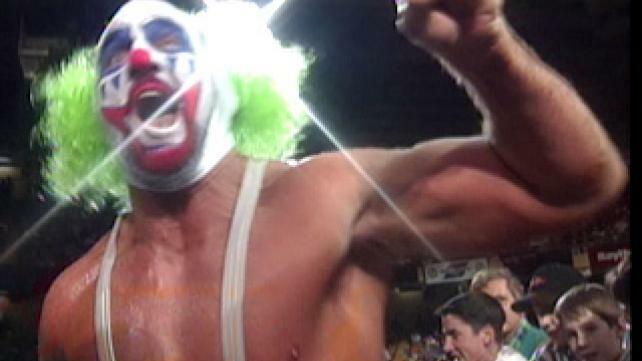 Both face teams dressed in Doink makeup in a match which never actually involved the actual Doink the Clown. The 4 Doinks got a clean sweep on their foes and once again proved that WWE has never known what is funny. The important point for the Bushwhackers is that they won! For the first time in years! A one day resurgence! Playing another character! The Bushwhackers number one accomplishment is getting into the WWE Hall of Fame. That’s not how it’s supposed to work. The WWE Hall of Fame is for winners, champions, and legends. It is there for those who blazed a trail, did something historic or had a lasting effect on the core of the Wrestling Fan. This years class looks likes they sat 9 people down in a room and each got to pick 1 inductee. Triple H picked Randy Savage. Stephanie picked the Warrior Award recipient, and John Laurinaitis picked the Bushwhackers. Why? Becauseo Johnny has a history with them in Australia that no one knew about…. 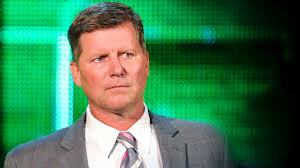 Oh and hey look, Johnny Ace is doing the induction. Literally anybody. 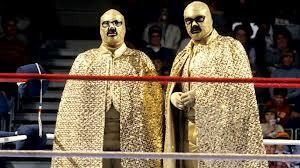 Let’s induct the Godwinns, Well Dunn, The Blu Brothers, The Young Stallions and the or even the Original Conquistadors! All reasons imaginable. The Bushwhackers ARE GARBAGE. This entry was posted in 2 out of 10, Class of 2015, WWE Hall of Fame and tagged bushwhackers, The Bushwhackers, The Sheepherders, WWE Hall of Fame. Bookmark the permalink. Given the careers that Butch Miller and Luke Williams had in various territories, their ages probably playing a factor into why WWE is inducting them now, and how over with the fans the Bushwacker gimmick was even past their prime, I’m actually okay with this induction. Do I think WWE should be piling on with so many lower level inductions this year? No. Arnold Schwarzenegger really filled that quota. Do I think Demolition, the British Bulldogs, Jim Neidhart, Marty Jannetty, and Professor Toru Tanaka should have been inducted first into a WWE Hall of Fame? Yes. But I think they’re closer to a 4 (Howard Finkel) or a 5 (Jim Duggan) than Well Dunn or the Conquistadors.